Tuesday Luncheon, 12 p.m. to 1:30 p.m.
How do you stand out, rise above the noise, and get your organization’s voice heard online? Having successfully guided the growth of digital businesses for everyone from Hollywood talent agency ICM Partners to BuzzFeed and Google, Jonathan Perelman knows how to do it right. Perelman believes that “content is king but distribution is queen—and she wears the pants.” Pulling from his extensive experience at some of the world’s most successful and influential brands, he shows audiences how to tell their story in a genuine, authentic, and meaningful way that generates word of mouth marketing at internet scale. With great energy and stage presence, he breaks down the tactics and mindset that propelled Buzzfeed from a small start-up to a cultural phenomenon read by hundreds of millions of people the world over. As the vice president of BuzzFeed motion pictures, Perelman was a critical part of its transformation into one of the internet’s biggest and most effective producers of video content. He led the creation of 75 original videos per week resulting in 1.5 billion monthly views. 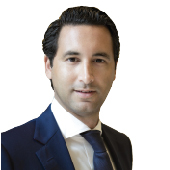 Additionally, he developed more than 20 partnerships with major global telecoms and platforms and was the vice president of agency strategy and industry development. He was instrumental in the company’s advertising efforts that famously omitted display ads and used only carefully crafted sponsored content—creating a new model for successful consumer engagement. Before BuzzFeed, Perelman spent more than six years at Google, most recently as the global lead for industry relations. Perelman is renowned for his expertise. He was twice featured as one of AdWeek’s Top 50 Media and Advertising Executives and twice named to Billboard’s Digital Power Player’s list. VideoInk name him “Dealmaker of the Year,” and he was named to Broadcasting & Cable’s “Digital All-Star’s” list as well as Como’s “Top 5 Behind the Scenes Tech Talent.” He was also awarded Google’s 2011 OC Award, given for “substantial contributions to company”. 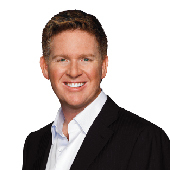 Wednesday Luncheon, 12 p.m. to 1:30 p.m.
Tom Ferry is the CEO of Tom Ferry International, a Real Estate Coaching and Training Company. Tom is named the #1 Real Estate Educator by Swanepoel Power 200 and is the bestselling Author of Life! By Design. In his nearly 30 years of service to the industry, Tom has influenced well over half a million real estate professionals to increase their inner and outer wealth. With nearly 30,000 hours of personal coaching experience, Tom works daily to help agents and brokers grow a prosperous business while simultaneously balancing and loving their personal lives too. Tom is a highly sought after and renowned speaker whose charisma and personality have captivated audiences around the world. Tom’s love and passion for life is fueled by a commitment to discipline and helping professionals strive and achieve the success they deserve in life and business. Tom has been featured in The New York Times, Wall Street Journal, USA Today, The Huffington Post, Mashable.com, Inman News, Agent Genius, Inc., Entrepreneur Magazine, Realtor Magazine, and many other leading publications. Thursday Luncheon, 12 p.m. to 1:30 p.m.
Leslie Appleton-Young is Vice President and Chief Economist for the CALIFORNIA ASSOCIATION OF REALTORS® (C.A.R.). Appleton-Young directs the activities of the Association’s Member Information Team. She oversees analysis of housing market and brokerage industry trends, broker relations, and membership development activities. She is also closely involved in the Association’s strategic planning efforts and is a well-known speaker in California’s real estate community. 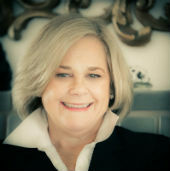 Appleton-Young earned a bachelor’s degree in economics from the University of California, Berkeley, and her master’s degree from the University of Pennsylvania. This event is the premier tradeshow for California's real estate industry. Our event features one-of-a-kind education, networking, and professional development opportunities. We welcome and encourage all members of the CALIFORNIA ASSOCIATION OF REALTORS® – brokers/owners, top producers, sales associates, assistants, and Association Executives to attend. Other real estate leaders, real estate agent analysts, members of the media, and professionals in affiliated industries are also more than welcome. This year we'll be in San Diego, Oct. 10-12. We hope to see you there!